Thick wood shelves with aged iron pipe on casters. It’s the size of an end table, but would work as a small shelf, nightstand, or rolling cart. 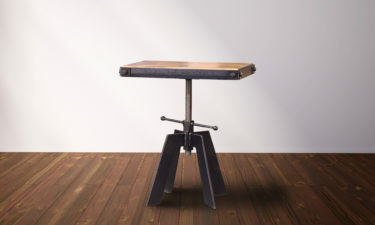 Please note that all wooden tops manufactured by Vintage Industrial include a 3″ – 6″ breadboard on both ends of the table to prevent warping of hardwoods.